Use the environment to engage your students in learning – both outside and indoors – in urban, suburban, or rural settings. Project Learning Tree's multi-disciplinary activities are designed to develop students’ critical thinking, problem-solving, and decision-making skills. PLT teaches students how to think, not what to think about the environment. Our hands-on activities make teaching and learning fun! Lesson plans are flexible and can be easily incorporated into existing curriculum or nonformal education programs. The activities are inquiry-based with an emphasis on STEM, and are correlated to state and national academic standards. Independent evaluators determined PLT increases students’ knowledge, reasoning, and academic skills. Join the 750,000 educators across the country who use PLT’s award-winning materials with their students. 96 hands-on, multidisciplinary activities integrate core subjects like science, reading, writing, mathematics, and social studies. Each activity includes correlations to state academic standards, Common Core State Standards, and supports the Next Generation Science Standards' three dimensional approach. Features include literature connections; technology extensions; cooperative learning; differentiated instruction; and tools to assess student learning. Topics include forests, wildlife, water, air, energy, waste, climate change, invasive species, community planning, and more. Relevant background information provides teachers with science content to effectively teach each activity's topic. 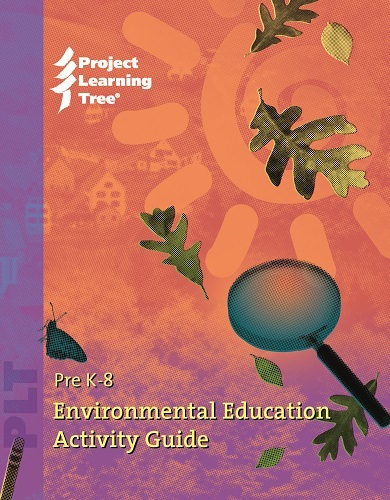 Your purchase includes a digital version of PLT's PreK-8 Environmental Education Activity Guide. A print version of the 480-page guide is available for an additional $24.99 which includes shipping and handling. Review this course Welcome Letter for more information. The online training can be completed in your own time, wherever you are, as long as you have internet access. Continuing education credits and state-specific supplemental resources are offered in some states. For more information, contact your State PLT Coordinator. "This was a very well done online PD program. The pace was appropriate, the media was well thought out, produced and presented. I was very satisfied." After completing this online workshop, you will be able to easily incorporate PLT activities into your existing lessons. You’ll be connected with a diverse and supportive professional network. You’ll also be eligible to apply for a PLT GreenWorks! grant for your students to green their school or neighborhood. Students love the activities! This book is full of practical, simple ideas to engage them in learning.